Book Buzz | DEBtastic Reads! Doing something a little different today, all because I want to feature I book I haven’t read yet but am greatly anticipating. Full disclosure here, when I started out wanting to write for children 15+ years ago, author Cynthia Leitich Smith was my guide and mentor. She was patient and generous with her time and knowledge and I am forever grateful to her. I fell in love with her work, first with Jingle Dancer, a picture book about a contemporary Native American girl excitedly preparing for an upcoming powwow where she will participate in a jingle dance for the first time. (Illustrated by Cornelius Van Wright) And then with Indian Shoes, a book with six interconnected short stories. But my favorite of her books was a YA novel, Rain is Not My Indian Name. 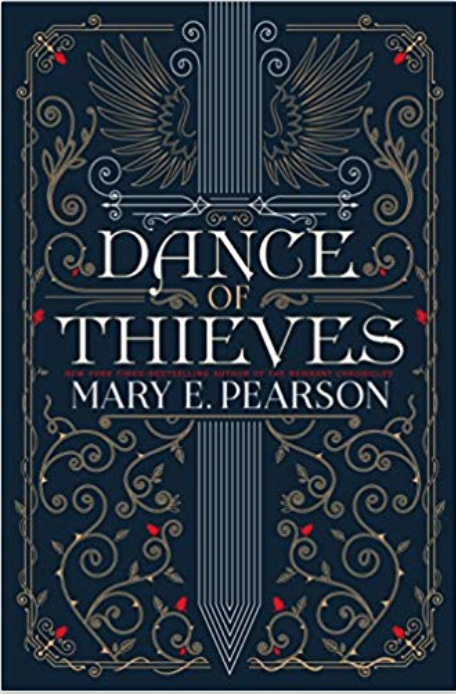 And now I recently learned that the author, who has had success with a series of paranormal novels, will be publishing a contemporary YA novel this fall! I’m beside myself with excitement! Hearts Unbroken is due out on November 6. This from the publisher’s site: When Louise Wolfe’s first real boyfriend mocks and disrespects Native people in front of her, she breaks things off and dumps him over e-mail. It’s her senior year, anyway, and she’d rather spend her time with her family and friends and working on the school newspaper. The editors pair her up with Joey Kairouz, the ambitious new photojournalist, and in no time the paper’s staff find themselves with a major story to cover: the school musical director’s inclusive approach to casting The Wizard of Oz has been provoking backlash in their mostly white, middle-class Kansas town. From the newly formed Parents Against Revisionist Theater to anonymous threats, long-held prejudices are being laid bare and hostilities are spreading against teachers, parents, and students — especially the cast members at the center of the controversy, including Lou’s little brother, who’s playing the Tin Man. As tensions mount at school, so does a romance between Lou and Joey — but as she’s learned, “dating while Native” can be difficult. In trying to protect her own heart, will Lou break Joey’s? AHHHH! I can’t wait! But I will! Pre-order here. It’s the day before the big parade to honor three-time gold medalist Olympic runner Wilma Rudolph. Alta can’t wait and imagines herself being as fast, as quick as Wilma. But then along come Charmaine with her brand new shoes and challenges Alta, whose shoes are worn out, to a race. Alta wins, but then Charmaine does in a second race, upsetting Alta. The day of the parade, Alta tries to hurry with her banner but it’s awkward and hard to run with it. Charmaine offers to help, and the two girls along with Alta’s sisters take turns relay style until they all make it to the parade in time. The girls sit together as friends rather than competitors to cheer for Wilma Rudolph. In 1960, in segregated Clarksville Tennessee, Wilma agreed to a parade only if it was integrated – and the organizers agreed. Fabulous story and fabulous illustrations! Book Buzz! Cooper & Packrat Are Back! Cooper and Packrat are back in another Wilder Campground adventure. This time after they discover one of their campgroup geocache boxes filled with illegal eagle parts, two goons chase them down. Cooper and Packrat are determined to discover the mystery of these illegal activities, while trying to evade the thugs. When they find out that the campground eaglets may be in danger, they enlist the help of their friend Roy and try to protect the eagles. Will they save the baby eagles? Will they find out the mystery behind the stolen eagle parts? And will Cooper get grounded by his parents for sleuthing? 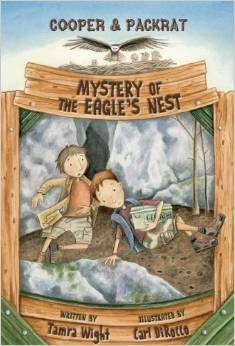 An adventurous story with fascinating eagle facts. This book is perfect for young readers who love adventure, mystery, and nature. I already look forward to the next installment. I hope there’s a next book! For more about Tamra and her books, see my spotlight interview with her here. One of the “problems” with reading so much and loving so many series in progress is sometimes not being able to keep up with new releases. 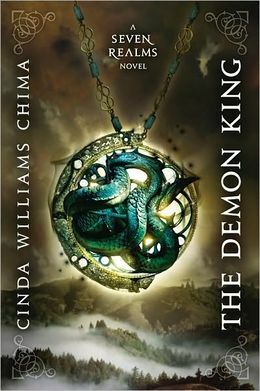 I fell in love with Cinda Williams Chima‘s Seven Realms series the moment I started reading the first book, The Demon King. In a time when wizards are bound to the queen and streetlords thieve and run ragged in towns, Han (Hunts Alone) sheds his streetlord status and tries to go straight and raise money for his mother and younger sister. 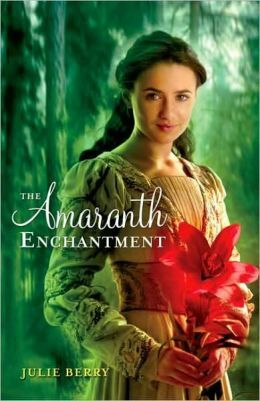 His only escape is to the clan where his best friend Fire Dancer and matriarch Willo care for him and provide shelter. Raisa, the princess heir, feels bound by her role and can’t seem to reach her mother, who is strongly influenced by her wizard advisor. When it becomes apparent that things are not right, Raisa chooses to act on her own, with help from old friend (and now part of the Queen’s Guard) Amon Byrne. From there it’s a heart-pounding adventure that grabs onto the reader and doesn’t let go! The second and third books in the series, The Exiled Queen and The Gray Wolf Throne are just as gripping and fantastic and definitely don’t disappoint. I’m so in love with Han and Raisa. I don’t want to provide a summary of the books here because I don’t want to give anything away. I highly recommend this series if you love epic high fantasy with absolutely amazing characters. 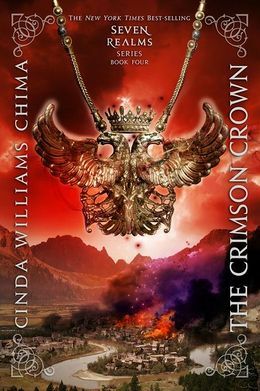 So, when I was recently in New York City browsing the amazing children’s book store, Books of Wonder, I was thrilled to see a signed copy of the fourth book in the series, The Crimson Crown! At this writing (and a day before this post goes live), I plan to start reading this very book as soon as I finish running errands this morning. Joy! Lexington Larrabee is the stereotypical spoiled rich daughter of a multimillionaire media mogul and expects to receive her $25 million trust fund when she turns 18, just as her four older brothers had. After she crashes her new Mercedes into a convenience store, drunk, her entire world changes. Her father withholds her trust and to earn it she must successfully complete 52 menial jobs (one a week for a year) and report to his college intern lackey, Luke. Lexi is mortified and the jobs are HARD, especially when she’s never had to do a thing for herself her entire life. Jessica Brody takes a character who would be easy to hate, and makes her sympathetic to the readers by making it very clear from the outset that all Lexi wants is the love and attention of her too-distant too-busy father. I loved the scenes involving Lexi and a new job – and I laughed out loud when she had to Google how to turn on a vacuum cleaner at her first job as a maid. The story is filled with humor and emotion, and I was rooting for Lexi the entire time! Great, fast-paced, fun read! 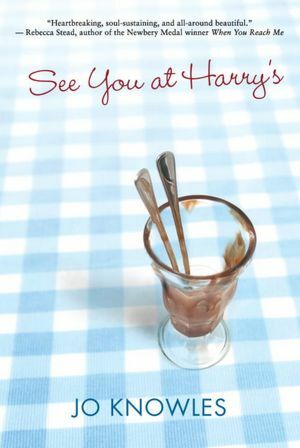 I read Jessica’s previous novel, My Life Undecided, and thoroughly enjoyed that one, too. Jessica does a fun thing and plants “Easter eggs” in her stories – I caught the reference to My Life Undecided while reading 52 Reasons. What are you reading that you’re enjoying these days? On March 11, 2011, Bob and I were sitting in our London hotel lobby cafe, using their WiFi to check email. I came across author Cindy Lord’s Facebook post where she said her heart went out to Japan. What? Bob and I quickly did a Google search and learned that the Tohoku region of Japan was hard hit by a 9.0 earthquake! Not only that but a tsunami devastated the coastal towns of that area. Lives were lost, homes swept away, – life in that area and surrounding it, changed forever. Add to that the meltdown of the Fukushima Nuclear Power plant, and there is no doubt that many, many Japanese people have been seriously affected. A year later, it’s become a distant memory to people outside of Japan, but not for those who continue to live in the affected areas. 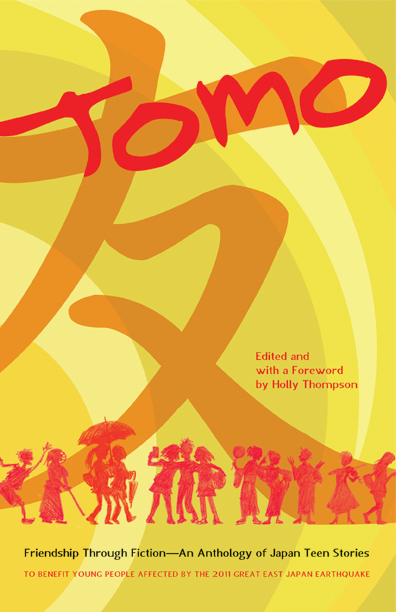 Tomo, edited by Holly Thompson, is an incredible collection of young adult stories that are either located in Japan or related to Japanese culture and/or history. From the website: Proceeds from the sales of this book will go directly toward long-term relief efforts for teens in Tohoku, the area most affected by the disasters, in the northeast region of Japan’s main island, Honshu. Contributors include well-known authors/artists such as Graham Salisbury, Alan Gratz, and Tak Toyoshima (of the cartoon Secret Asian Man), as well a slew of talented up-and-coming writers and illustrators. I have to admit that I am usually not a huge fan of anthologies. Having said that, I was truly blown away by these stories – their depth, literary quality, and heart. The opening story, Lost by Andrew Fukuda is a hauntingly beautiful tale about a young girl who has lost two years of her memory after a devastating earthquake in Japan. Half A Heart by Mariko Nagai is a story told in verse about a Japanese girl living in Seattle when Pearl Harbor is bombed – it made my heart ache, but left me with hope, too. There are retellings, fables, love stories, and funny stories, as well as illustrated stories like Kodama by Debbie Ridpath Ohi which is told in a sketchbook format – I won’t tell you what it’s about or I’ll ruin the surprise, but it has to do with a mysterious boy in a forest. Check out the blog for Tomo and read about the contributors. Better yet, make a purchase, not only to help teens in Tohoku, but because the stories are very much worth reading. In fact, I’ll be purchasing at least four copies, one for myself, and also for my family members. I promise, you do not have to be Japanese to appreciate these stories. Stayed tuned because below is an opportunity for you to win a free copy of Tomo! DEBtastic Reads: You were inspired to help the victims, particularly the youth, of the hard-hit Tohoku region in Japan by the March 2011 earthquake-tsunami disaster. This anthology is the brilliant result of your efforts. What was it like editing such an anthology? What were the challenges? Holly Thompson: First of all, thank you for reading Tomo! The Tomo anthology is the result of combined efforts by so many people besides myself, including Peter Goodman of Stone Bridge Press, who was solidly behind this project from the moment I mentioned the idea to him; writers who submitted stories and helped spread the word quickly; translators who labored under extremely tight deadlines; John Shelley who donated his figure drawings for the cover art; Rieko Tanaka of the NPO Hope for Tomorrow (hope-tomorrow.jp); and so many people behind the scenes. The greatest challenge with Tomo was the time constraint—in order to publish in time for the one-year anniversary of the 3/11 earthquake and tsunami, the deadlines for submitting, selecting work, editing and proofing were all extremely tight. But thanks to everyone’s help, and most especially the enthusiasm of the people at Stone Bridge Press, this marathon project came together in time. DEB: The contributions to the anthology amazed and awed me. There are so many types of stories, told in a variety of ways and they are all written superbly. Were there any stories that struck you personally in a way that surprised you? How so? HT: As an editor I came to know these stories deeply. Some stories went through multiple revisions, and it was such a joy to see them grow and develop; other stories were nearly print-ready as submitted. All of these stories touched me in a personal way. I was so pleased to be able to include the graphic narratives of Debbie Ohi and Tak Toyoshima, and I was moved deeply to learn about the late Yukie Chiri, transcriber of the Ainu tale “Where the Silver Droplets Fall” translated by Deborah Davidson. I love the microscopic moment-by-moment analysis of the narrator of “Fleecy Clouds” by Arie Nashiya, translated by Juliet Winters Carpenter, as well as the quirky tale of the boy who studies kimono dressing in “House of Trust” by Sachiko Kashiwaba, translated by Avery Fischer Udagawa. Suzanne Kamata captures the complex duality of biculturalism in her beautiful story “Peace on Earth,” and Graham Salisbury’s “Bad Day for Baseball” and Alan Gratz’s “The Ghost who Came to Breakfast” are both pitch perfect. I could run through the entire table of contents and tell you what I love about each story! DEB: You have long lived in Japan. What first took you there? What surprised you about living in Japan? And what did you fall in love with? HT: I’ve lived in Japan two separate times, for several years in the 1980s and from 1998 until now. My husband had lived in Japan as an exchange student in college and was eager to return, so not long after we married, in the 1980s we both worked as teachers in Japanese high schools. Japan made a huge impression on me right away, and I particularly fell in love with the terrain—coming from the gentle hills of New England, Japan offered some striking new volcanic geography for me. I also came to love what’s referred to as satoyama, the areas of arable land, farm village and woodlands that are all interrelated, and the unique ways in which village resources are managed and used for all sorts of purposes. If carefully managed and not too depopulated, a Japanese agricultural village can be nearly self-sustaining. I hope that more people will discover the charms of Japanese rural areas, including much of rugged Tohoku. DEB: A year after, sadly, it’s easy to forget that there are many who still suffer from the affects of the disaster. In addition to buying copies of TOMO, what other things can people do to help? HT: Volunteering is still ever important, and there are so many projects that need support. Tohoku will be struggling for years—the scars are physical and emotional—yet the pain and suffering often go unseen and unheard outside the region. The devastation in Tohoku is on a scale that is unprecedented; the challenges facing the region and the country are enormous. So, readers, if you have a chance to visit Japan, please do so, and help promote the revival of tourism in the country. For those who can, please consider a visit to Tohoku. And even if you cannot travel to Japan or Tohoku, you can support the hard-working NPOs that are active in the devastated regions—there are so many art initiatives, business revival projects, programs to aid orphans, online tutoring programs, farm support projects… something to match everyone’s interests. We can all help Tohoku’s revival by getting involved and showing our support with our actions. Thank you to everyone who reads Tomo and joins in this effort to support teens in the Tohoku area of Japan and promote friendship through fiction. Holly Thompson was raised in New England and is a longtime resident of Japan. She is the author of the YA verse novel Orchards (Delacorte/Random House), which received the APALA 2012 Asian/Pacific American Award for Literature and is a YALSA Best Fiction for Young Adults Selection; the picture book The Wakame Gatherers (Shen’s Books); and the novel Ash (Stone Bridge Press). She recently edited Tomo: Friendship Through Fiction—An Anthology of Japan Teen Stories (Stone Bridge Press). She teaches creative and academic writing at Yokohama City University and serves as Regional Advisor for the Tokyo chapter of the Society of Children’s Book and Writers. Visit her website at www.hatbooks.com and her blog at http://hatbooks.blogspot.com. WIN A COPY OF TOMO! 1. Enter by commenting on this post (if you’re reading this via a feed, click here). Please make sure to leave your email address so I can contact the winner. Also, be sure to check this blog on Tuesday, March 20 when I announce the lucky winner. 2. Comment by midnight PST on Friday, March 16, to be eligible for the drawing. 3. Winner must have a US or Canada mailing address (which you can provide after winning). 4. If you Tweet, share (on FB or your blog) this contest and post, inform me when you comment and your name will be entered a second time. Tomo is currently available for purchase at your favorite online bookstore and via Stone Bridge Press.